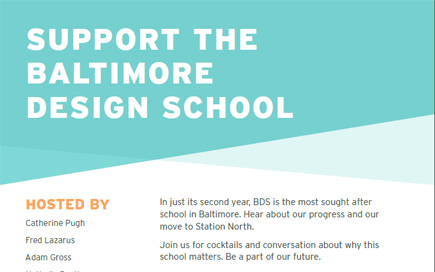 In just its second year, BDS is the most sought after school in Baltimore. Hear about our progress and our move to Station North. Join us for cocktails and conversation about why this school matters. Be a part of our future.